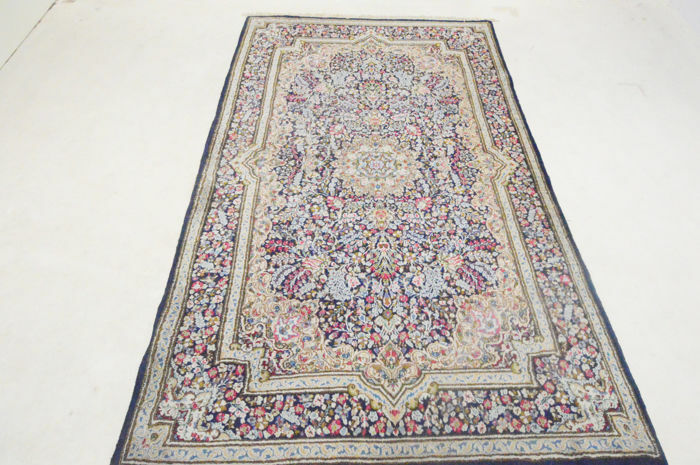 Size: 154 x 254 cm. 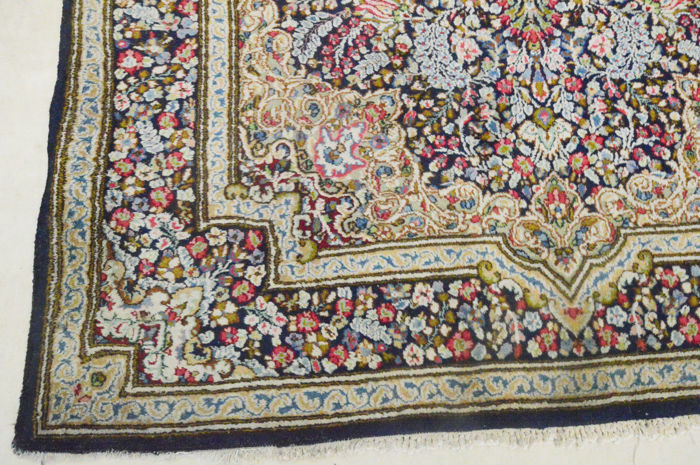 Knot density: approx. 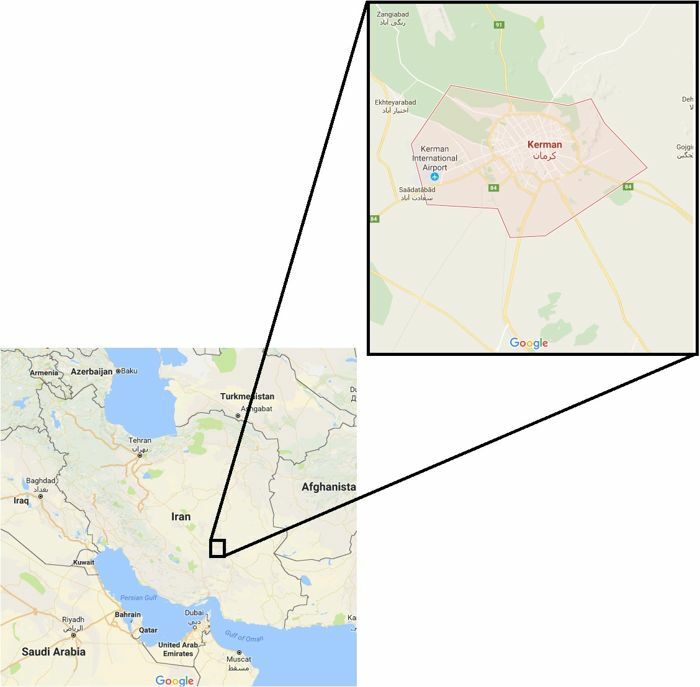 250,000–300,000 knots per m². 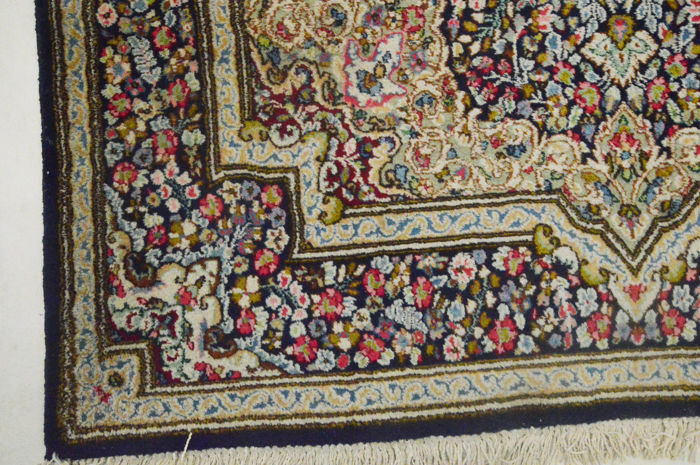 Condition: as good as new, please view the photos. 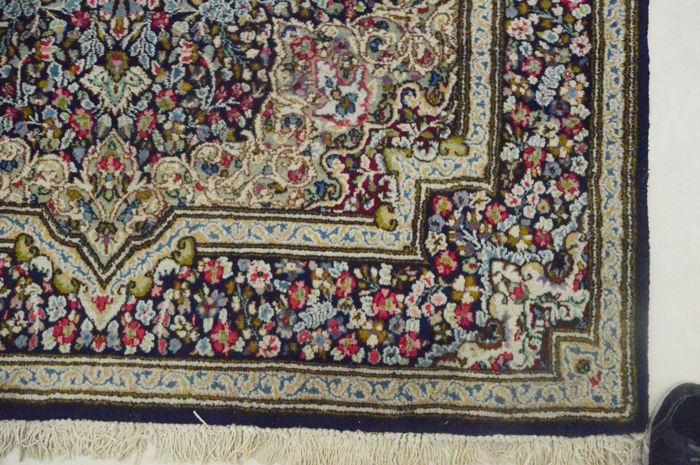 This rug was knotted in a workshop in the city of Kerman, in south-eastern Persia. 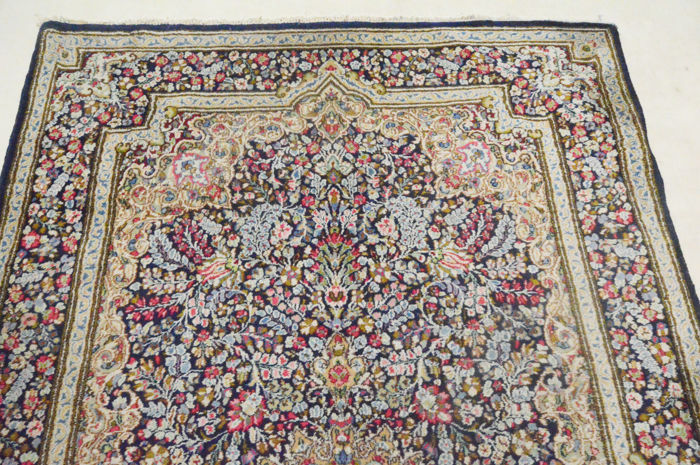 A large number of rugs are sold to palaces all over the world. 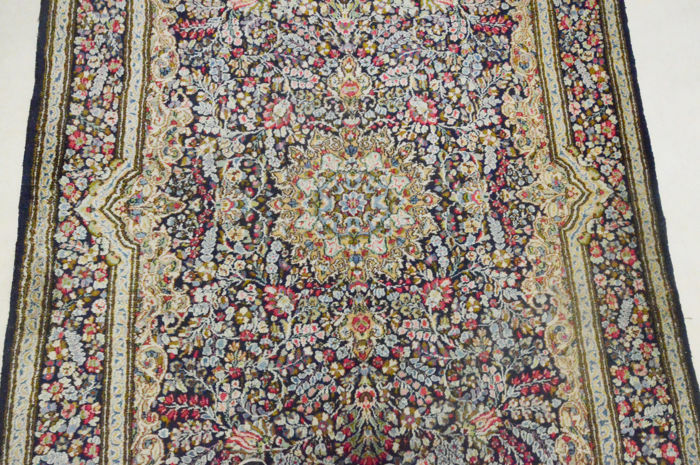 The base colour is often red and the pattern is dominated by a large medallion with a wide border filled with flowers. 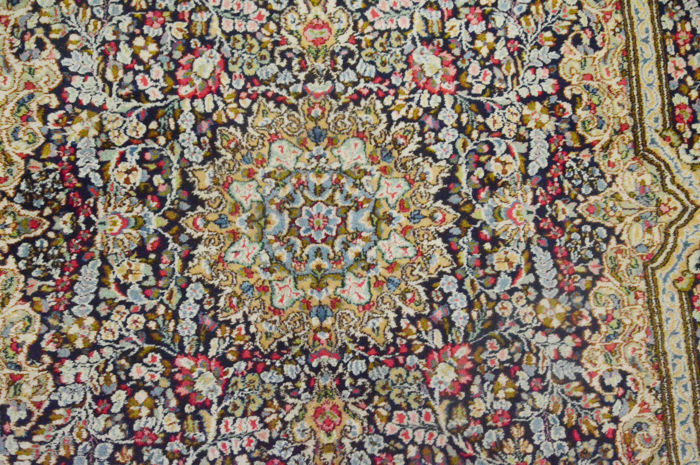 Kerman rugs often have a fan of medallions and floral decorations, but the tree-of-life structure is popular as well. 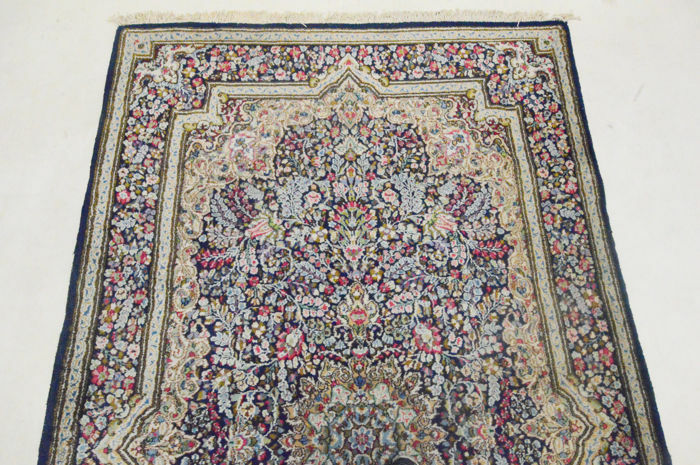 Just like Tabriz rugs, rugs from Kerman can come in many designs. 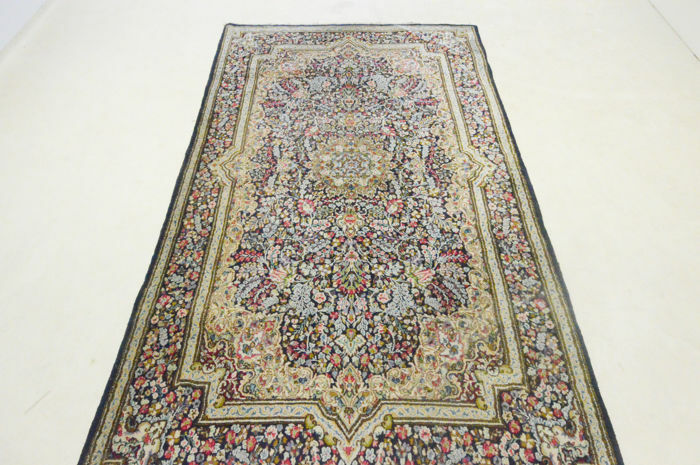 The quality of these rugs is high, with knot densities between 250,000–600,000 knots per square metre. 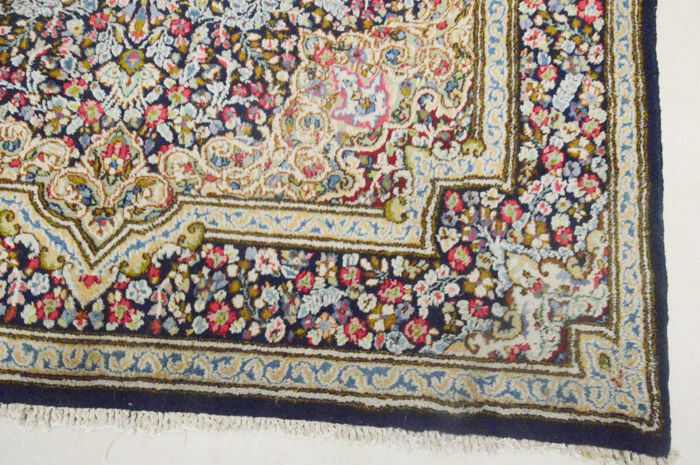 Kerman rugs may vary in colour, but in general, red, blue and purple are used.